UNEARTH THE SECRET FORMULA OF USING SALMON DNA TO LOOK 10 YEARS YOUNGER! Would you like to shave 10 years off your skin’s age? YES! I WANT TO LOOK 10 YRS YOUNGER! WHY USE SALMON DNA FOR ANTI-AGING TREATMENTS? The Journal of Cosmetic Chemists published a research paper in 2009 investigating the effects of rubbing the DNA from salmon milt on human skin. A 3% salmon DNA cream was rubbed onto the subjects over a period of 3 months and the results were amazing! The DNA drastically improved the skin’s elasticity and improved hydration. Medical researchers have found that salmon DNA has very similar base structure with humans. PDRN is the useful compound that is extracted from salmon’s DNA for cosmetic applications. In humans, PDRN is commonly found in newly formed tissues as its role is to repair damaged skin. How does injecting PDRN help with anti-aging? PDRN, also known as polydeoxyribonecleotide, is a remarkable compound with several benefits such as tissue repair, anti-ischemic and anti-inflammation. For several years, PDRN has been used by medical doctors in regenerative medicine and for the treatment of diabetic foot ulcers. The Rejuran® Healer Treatment was developed. 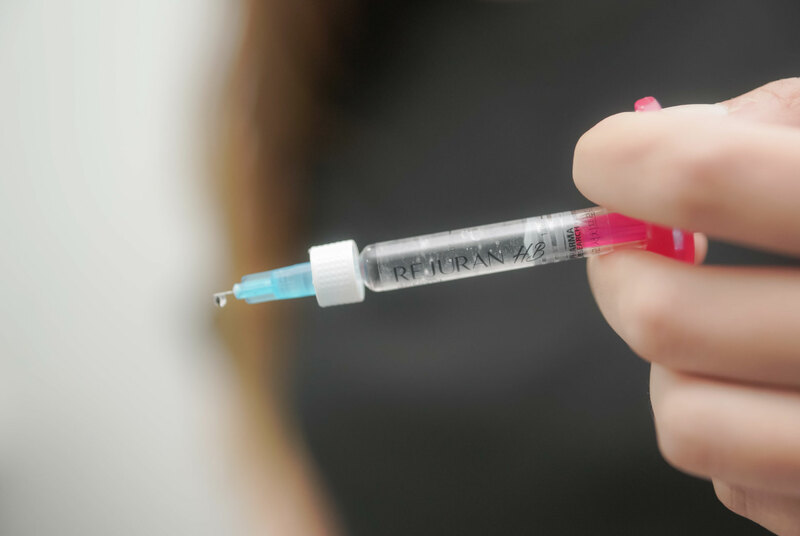 Unlike dermal filler injections, the Rejuran® Healer Treatment, also known as baby skin injection, involves the use of non-invasive micro-injections to administer the treatment into the superficial dermis and remain in the top layer of the skin. It stimulates the growth of fibroblasts, a type of cell that actually generates collagen and other cells within the skin’s extracellular matrix. More fibroblasts means more collagen and more newly-generated cells that replace old, damaged ones. It also means that the skin will be smoother and more elastic. Unwanted pigmentation, fine lines, and wrinkles are reduced, pores are minimised and the skin becomes firmer and less saggy. Best of all, because Rejuran® acts as a healing agent, even conditions such as eczema, acne-induced inflammation and old deep-set acne scars can be healed and eliminated. After the treatment, the skin will be soothed with a Medicaskin Post Treatment Microclysmic Hydro Glowing Serum to reduce any redness or swelling on the injection sites. WHAT are the benefits of the Rejuran® Healer Treatment? A wide array of benefits await the potential user of Rejuran® as significant results can be seen just after 4-6 weeks! Clinically proven to diminish fine lines, give a glowy appearance (now you know the secret of Korean celebrities) and lift the skin to reveal younger-looking skin, the Rejuran® Healer Treatment is a skin healing treatment that addresses aging skin at a cellular level. It is great for improving skin tone and elasticity, resulting in smoother, firmer skin. Rejuran® Healer is great for full face skin rejuvenation and regeneration. DELAY SIGNS OF AGING AND MAINTAIN A YOUTHFUL APPEARANCE with rejuran®! Are Rejuran® Healer treatments painful? 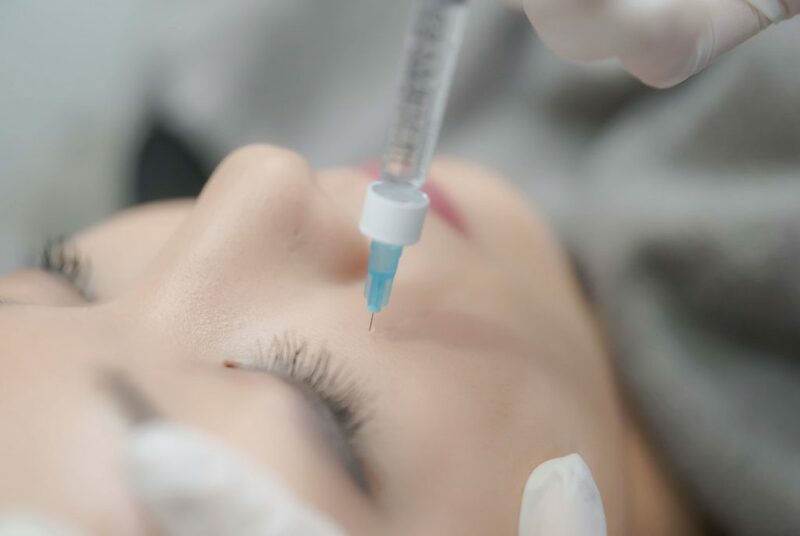 You can expect a slight discomfort during the process but our experienced aestheticians and doctors will be sure to apply numbing cream onto the treatment areas before administering the injections. A facial cleansing process will be carried out before numbing cream is applied to the face. Next, the Rejuran® Healer will be injected into the superficial layers of the skin of your chosen treatment areas. Then, receive a soothing face massage for better absorption into the skin. What is the best interval between visits? We recommend that you go for Rejuran® Healer treatments once a month. For the best personally tailored advice for your skin and condition, speak to our doctors and experienced aestheticians! Get your free skin assessment and consultation now when you sign up online! Are Rejuran® Healer treatments safe and are there any side effects? There are no side effects of the Rejuran® Healer. It is FDA-approved and safe for usage, especially in the skilled hands of our practised aestheticians and doctors! However, we recommend that you do not apply makeup for at least a day to ensure that the treatment areas do not get infected, as well as for healing purposes. You may experience slight bruising on the treatment areas or no bruising at all. This varies from individual to individual. In the event that you do get bruising, fret not as it is completely normal and can be easily covered and hidden with some makeup. How long after treatment can I expect to see results? About 3-5 days after the treatment, you can witness an improvement to your face’s skin texture as well as a more radiant glow. The results will only get better from there on out as you return for more courses of the Rejuran® Healer!